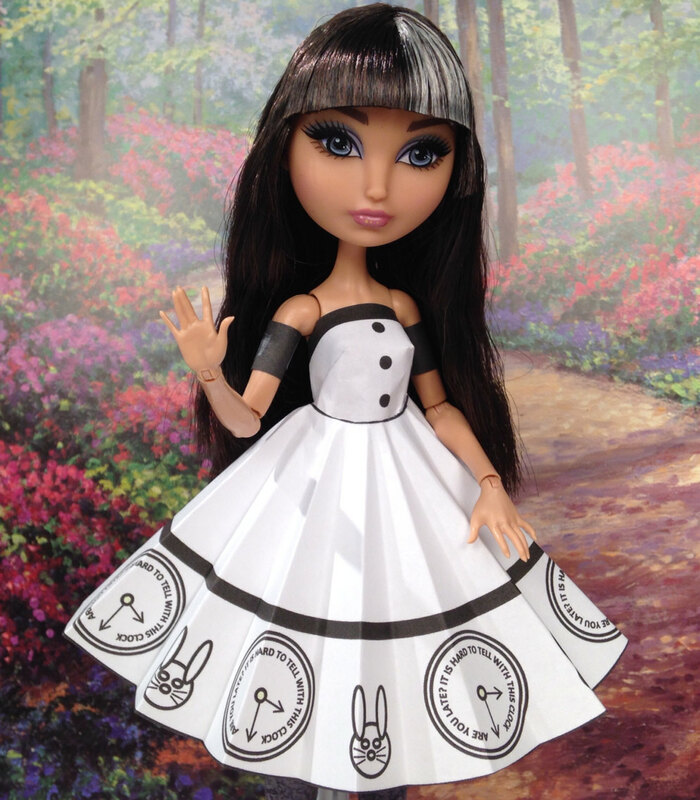 Ever After High Apple White Doll is wearing a top, elbow length straight sleeves, circle skirt, and small circle over skirt. 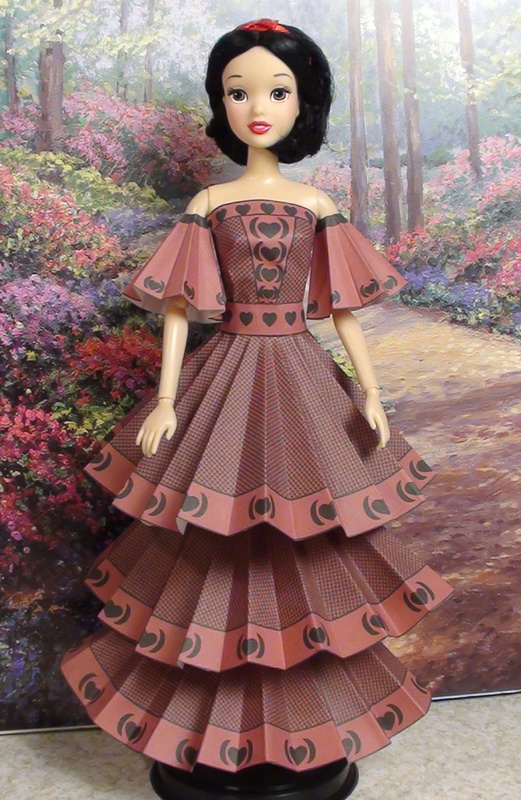 Ever After High Briar Beauty Doll is wearing a top, circle skirt, straight skirt over skirt, and wrap around collar. 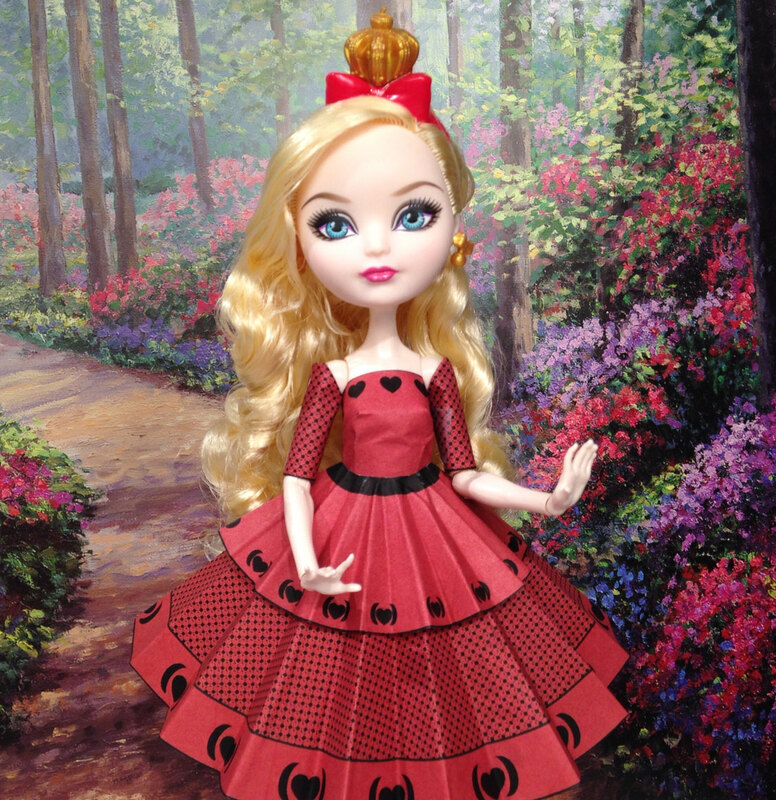 Ever After High Cerise Hood is wearing a top, circle skirt, and cap sleeves. 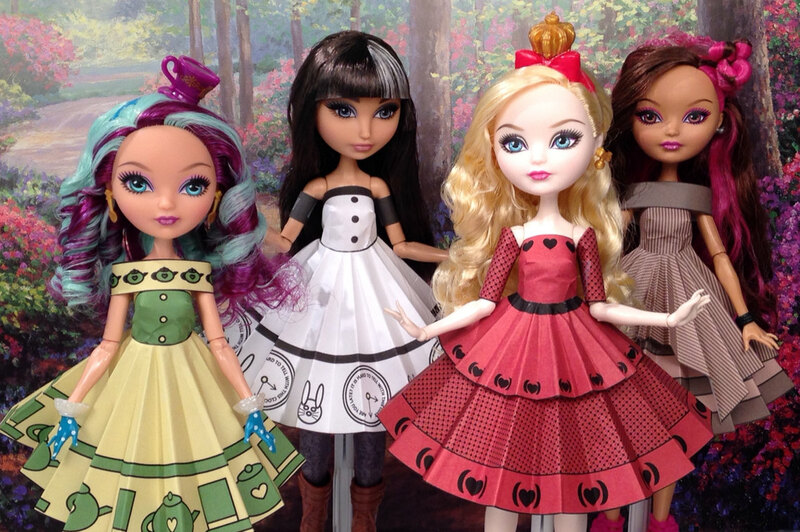 Ever After High Madeline Hatter is wearing a top, circle skirt, and wrap around collar. Barbie Fashionista is wearing a top, mermaid skirt, and shoulder straps. Snow White is wearing a top, three tier mermaid skirt, and half circle sleeves. Barbie Fashionista Sassy Doll is wearing a top, straight skirt, belt, and shoulder straps. Midge is wearing a top, mermaid skirt.